The Fortnite fever is still going strong and if you are looking to upgrade your gaming PC to enjoy this battle royale title with friends, then the holiday season sales may be the perfect time for it. 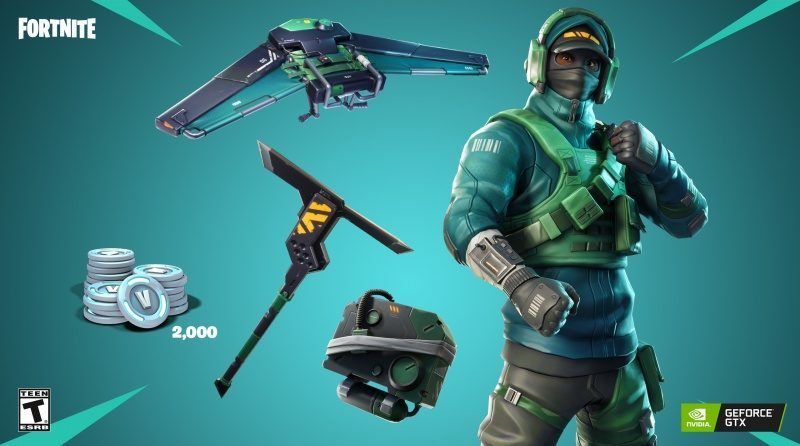 Nvidia and Epic Games have now teamed up to bring you the ‘GeForce Fortnite Bundle’ in time for the game’s seventh season and it offers you a ton of goodies. As per an official press release, Nvidia has decided to sweeten the deal for the upcoming season for those buying the GeForce GTX 1070 Ti, GTX 1070, or GTX 1060 GPUs, desktop PC, or laptop. The company is offering them the GeForce Fortnite Bundle with rare outfit items and in-game currency V-Bucks, so they can pick up new emotes and outfits in the future. For those interested, it’s important to note that ‘GeForce Fortnite Bundle’ is available for a limited time. You can grab this offer, starting today through January 29 or until stocks last. Well, if Fortnite isn’t your cup of tea, then the Monster Hunter:World bundle could attract your attention, where you’ll receive a copy of the game and all the goodies in the Fortnite bundle. Nvidia also has a Battlefield V Bundle, where you will get a copy of the game title on purchasing a GeForce RTX 2080 Ti, GeForce RTX 2080, or a GeForce RTX 2070-based graphics card or desktop PC. So, are you hyped for Fortnite’s seventh season? What dazzling stunt is Epic going to do grab our attention this time? Let us know your thoughts in the comments below.